This year, CUPE joins with union members and others around the world in condemning the recent massacre of worshippers at two mosques in Christchurch, New Zealand. CUPE embraces its Muslim members, neighbours and friends in this dark time, and re-affirms that unions play a vital role in fighting hatred and fear of Muslim people, in Canada and around the world. 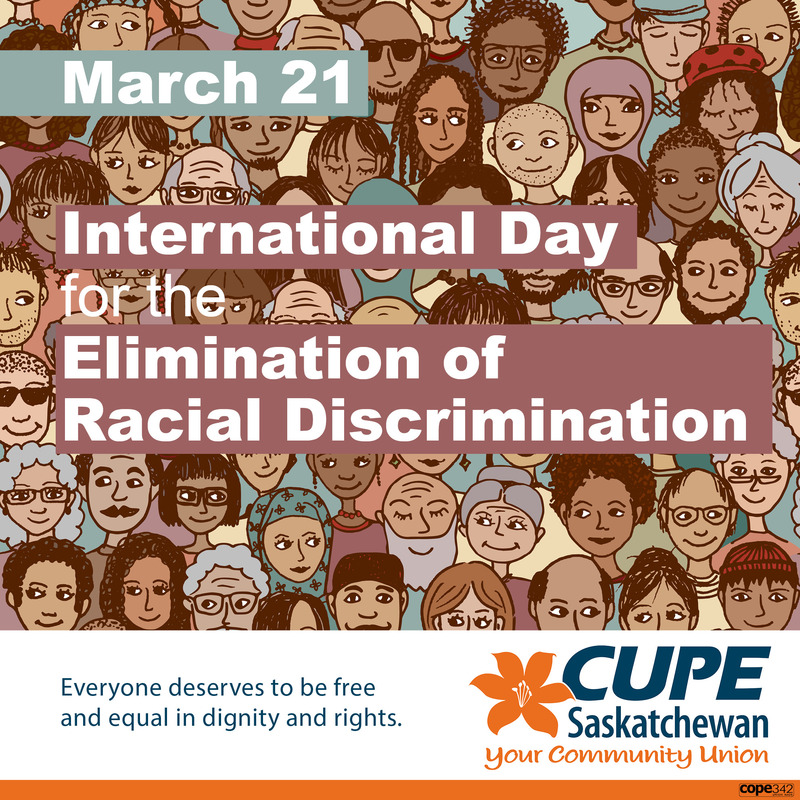 The General Assembly of the UN proclaimed March 21 the International Day for the Elimination of Racism by resolution adopted in 1966. The day commemorates the incident on March 21 in 1960 when police opened fire and killed 69 people and wounded 180 others who were peacefully demonstrating against apartheid “pass laws” in the township of Sharpeville, South Africa. 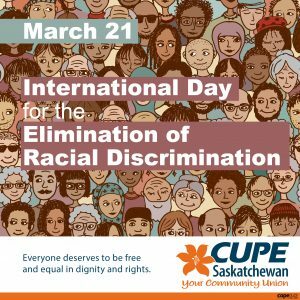 A message from CUPE Saskatchewan and the Committee Against Racism and Discrimination. CUPE Saskatchewan represents 30,000 members working in a variety of public service occupations including: health care, K-12 school system, universities, libraries, municipalities, community-based organizations, and various boards and agencies. CUPE is the largest union in Saskatchewan.